Camere obsolete, muri sporchi necessità di un restailing!!! In compenso bagno ristrutturato da poco, ampio e pulito! Lovely hotel, great location. Good sized and clean rooms. Great breakfast. Where to find Concesio hotels near an airport? Where can I find hotels in Concesio that are near tourist attractions? 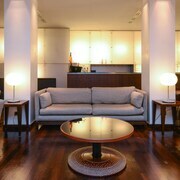 There are multiple accommodation options for those visitors searching for a pleasant place to stay in or near Concesio. Our database lists 24 hotel options within a 0.1-kilometre (0.06-mile) radius of Concesio's center. 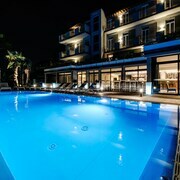 Within driving distance of Concesio, are the Hotel Vittoria and Regal Apartments. 19 kilometres (12 miles) away from the main part of Concesio, is the L'Albereta, Relais & Chateaux. 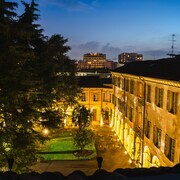 The Palazzo Arzaga is situated 25 kilometres (14 miles) away. 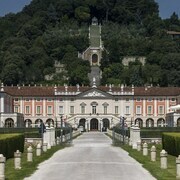 Two more Expedia-listed hotels are the Relais Franciacorta and the Araba Fenice. Once you have seen the sights in Concesio, try and leave enough time to check out Lombardy's other cultural and scenic delights. Lombardy is marked by rural landscapes and rivers, and commonly visited Lombardy tourist destinations include ruins. In this section of Italy visitors can also enjoy snowboarding and skiing. The closest hotels in Brescia are Bovezzo and Polaveno. Bovezzo is 3 kilometres (2 miles) to the southeast of Concesio, while Polaveno is 8 kilometres (5 miles) to the northwest. Hotels in Bovezzo are the Best Western Hotel Master and Albergo Orologio. 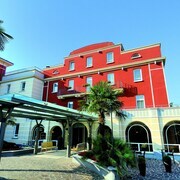 The Hotel Rivalago and Vela are some of the accommodation options in Polaveno. If you are into sports and really like games you might like to head to Arena di Verona, which is 65 kilometres (40 miles) to the east of Concesio. 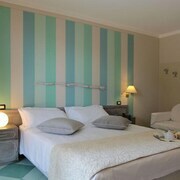 Book accommodation close to the action at the Grand Relais The Gentleman of Verona - Guest House or the Due Torri Hotel. Orio Al Serio Airport is a convenient airport for flying into Concesio. It is 40 kilometres (25 miles) drive away. 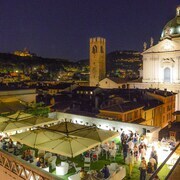 If you would like to stay nearby, try the Relais San Lorenzo or Petronilla - Hotel in Bergamo. What are the most popular Concesio hotels? Are there hotels in other cities near Concesio? What other types of accommodations are available in Concesio? Explore Concesio with Expedia.ca’s Travel Guides to find the best flights, cars, holiday packages and more!